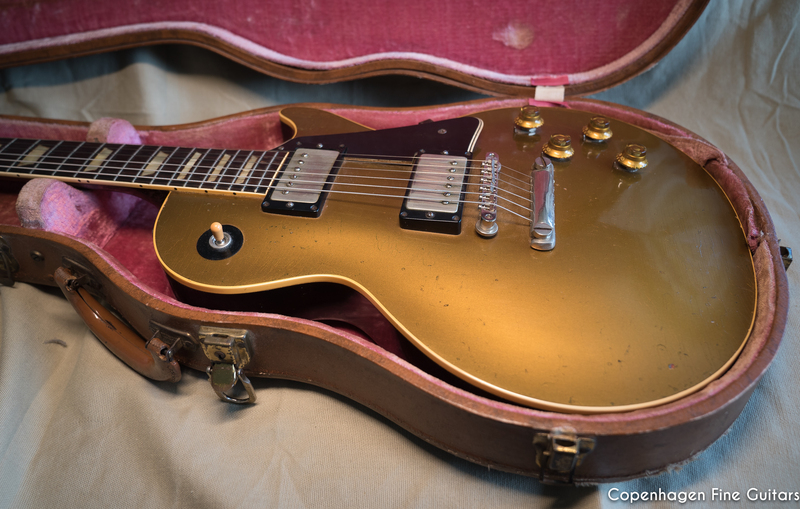 1957 Gibson Les Paul Standard Goldtop with dark back with black pickguard. All original with original Lifton case. Very rare and highly collectible vintage guitar from the golden era of electric Gibson guitars.